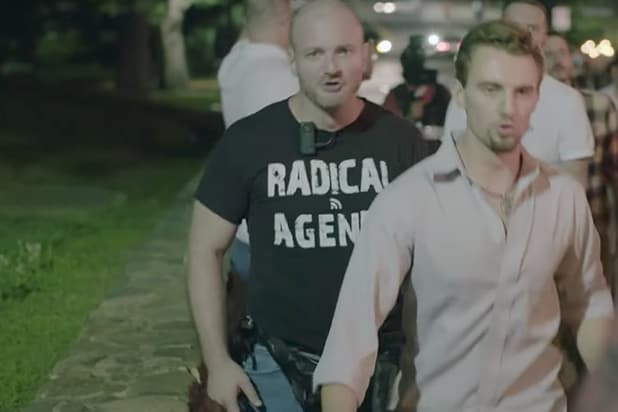 Christopher Cantwell, the neo-Nazi leader who was featured throughout Vice News Tonight’s viral special documenting Charlottesville violence and teared up in a second viral video, has turned himself into police. 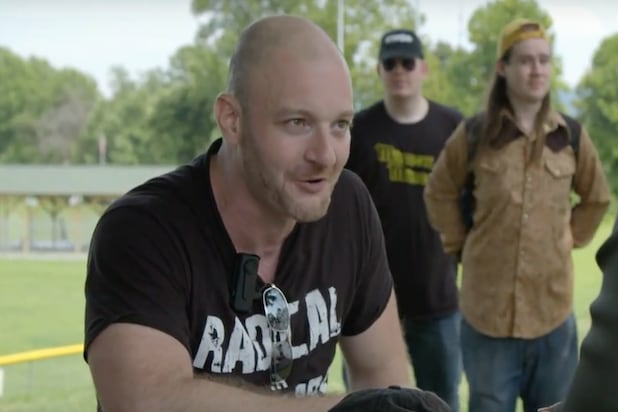 Cantwell turned himself in to Lynchburg police on Wednesday afternoon and is being held in the Blue Ridge Regional Jail in Lynchburg pending transport to Charlottesville, according to Daily Progress. He was arrested on two counts of illegal use of tear gas and one count of malicious bodily injury, all felonies. Cantwell recently released a video in which he cried to police that he was “terrified” and “afraid” he will be killed when he realized there was a warrant for his arrest. Cantwell painted himself as a tough guy who would “kill” if that was what it took to spread his beliefs. “We’ll f——- kill these people if we have to,” he says directly to the camera. He started off the video, addressed to police, saying he has learned there is a warrant out for his arrest but would need to appear at a public place to confirm the situation. Cantwell got more emotional as the video went on and, at one point, apologized to the camera for tearing up. “I want to be peaceful, I want to be law abiding, OK? That was the whole entire point of this and I’m watching CNN talk about this as violent, white nationalist protest. We have done everything in our power to keep this peaceful,” he said. He continued to cry when discussing that his group might talk a big game on the Internet but actually went through all the proper steps needed to organize the rally.